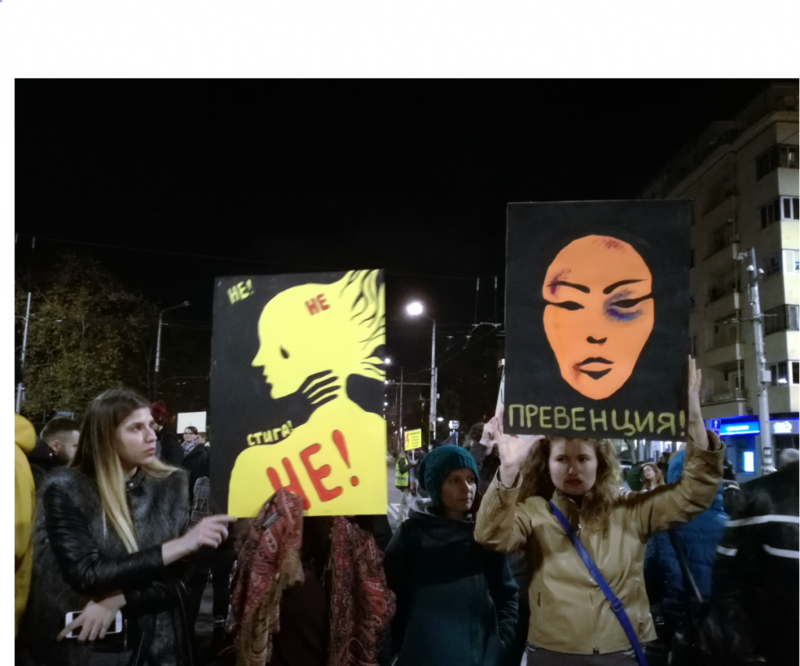 BlueLink supported the civil "Protest Against Violence Against Women" that took place on November 26, 2018 in Sofia, Bulgaria. The protest was organized by the Bulgarian Fund for Women (BFW) for the International Day for the Elimination of Violence against Women. Organizers and participants demanded more effective measures against domestic violence and violence against women. Protesters expressed their solidarity with families of women who were murdered by their husbands or partners and with all women who are still victims of domestic violence. They presented ten particular demands to the state, listed by the BFW. BlueLink supports the fight against gender based violence by implementing various projects in the field. Within the project "Journalism by Women for Women" authors of the BlueLink vioneering virtual newsroom worked on journalistic articles on violence and discrimination against women. In Spetember 2018 BlueLink launched the campaign "Free Speech v.s Hate Speech: Online security for Environmental, gender and human rights activists in Bulgaria" to reasearch ways, routs and consequences of online hate speech against civil society activists in Bulgaria as well as to give a start to effective counteractions that activsts can use in their work. The project is supported by the Association for Progressive Communications (APC). On November 2, 2018, together with the Bulgarian Fund for Women and the Media Democracy Foundation BlueLink held a roundtable "Voices Under Siege" to discuss threats against freedom of speech and pressure against civil society. The event was part of a joint campain with 11 Bulgarian organizations. The campaign was coordinated by BFW and supported by Civitates.